O’Connor’s elementary school visits find him playing with the students and seated at the cafeteria table chowing on chicken nuggets with them. He realizes it’s the personal relationship building that opens the conversation and offers the invitation to consider a priestly or religious vocation. A 1995 graduate of Bishop Ludden Junior/Senior High School, O’Connor spends a full week with each of the Catholic high schools in the diocese. He starts the week off with an assembly and Mass to introduce himself and his mission and teaches all religion classes for every grade level. He meets with educators during free periods and after school to help them develop skills to recognize and promote vocations. Eucharistic adoration takes place in the school chapel at the end of the vocation week. Students spend the week listening to O’Connor talk about vocations and what God is calling them to be, and adoration offers them quiet time to listen to what God might be saying to them. O’Connor leaves a brochure in each chair, so that those who come to adoration will have something to take home or something that might further their interests. And, for more information, O’Connor has enlisted the help of brother priests in developing a web site (www.vocations-syracuse.org) for the Vocations Office. The role of director of the Office of Vocation Promotion was a part-time enterprise until two years ago when then Bishop James Moynihan asked O’Connor if he might be able to make the position full time. That gave him the ability to explore all the different ways he might bring information to young people and to their parents. 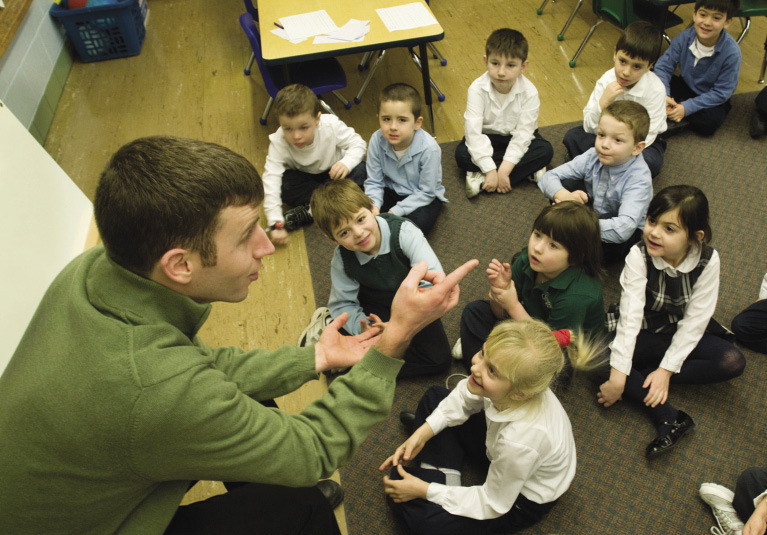 Because the current culture is not geared to developing a life of service, much less celibacy, a significant piece of O’Connor’s mission is to help young people discern what God is calling them to, and to help parents realize that a decision to pursue a priestly or religious vocation is a viable option for their children. The Women’s Commission of the Syracuse Diocese asked what it might do to help. O’Connor told them, “Parents are anxious when kids respond to the presentations. They don’t know what to say or do.” The result was a great pamphlet, “My Son, a Priest?” It offers the voices of parents of priests and their response to their sons’ vocations. It answers some basic questions: Will they miss out on grandchildren? Will parents lose their connection to their son? Will he miss the joy of being a parent? How might he deal with the current image of priests? One of O’Connor’s favorite stories to tell comes from visiting Catholic high schools. O’Connor said he may hear from about five percent of the students to whom he reaches out. “That percentage lowers as the age group gets higher,” he explained. 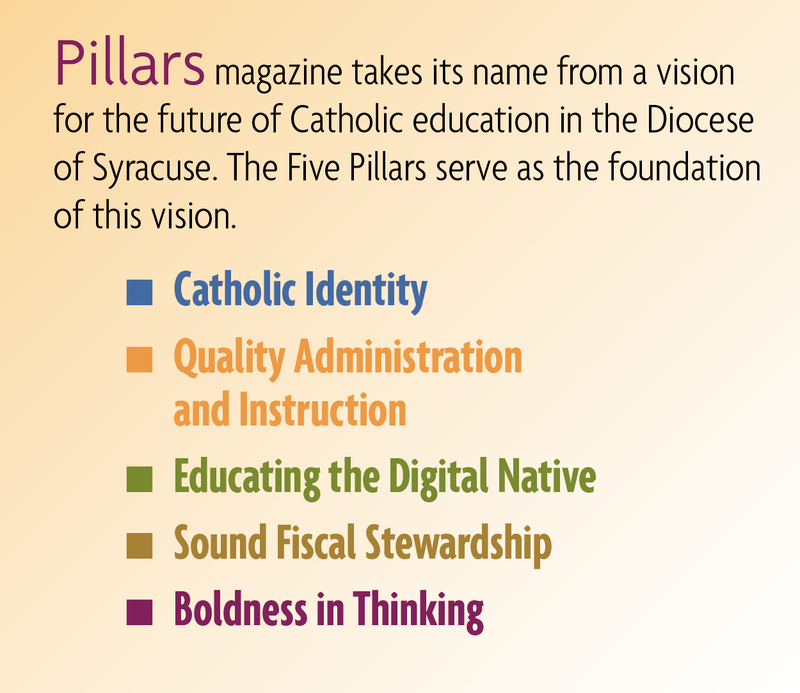 But, a new development came from his work with Catholic schools. Now, O’Connor is facilitating a college discernment program. “Guys who have gone away to college are making the commitment to come back once a month and get together at different rectories to see how a priest lives. We host a holy hour and offer speakers. There are about seven guys right now, but they are making a commitment to the group,” he said. O’Connor said he can’t begin to express how grateful he is to the Catholic schools of the diocese that have enabled him to plant the seed of vocations. “I’m extremely grateful to the schools for their openness and the launching pad they’ve given me for this ministry,” he said. 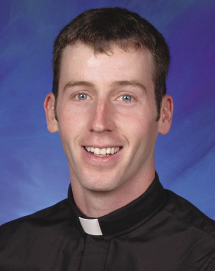 O’Connor’s own vocation has grown even stronger since he has committed himself to furthering vocations within the diocese. Connie Berry is the editor of The Catholic Sun. Fr. Joe O’Connor talks about vocations with children at all grade levels.